Taking a break from my honeymoon series, I bring to you a fun vibrant look that we shot recently. Although I am not a crazy fan of vibrant pieces, I loved how bold and statement-y this outfit turned out to be. 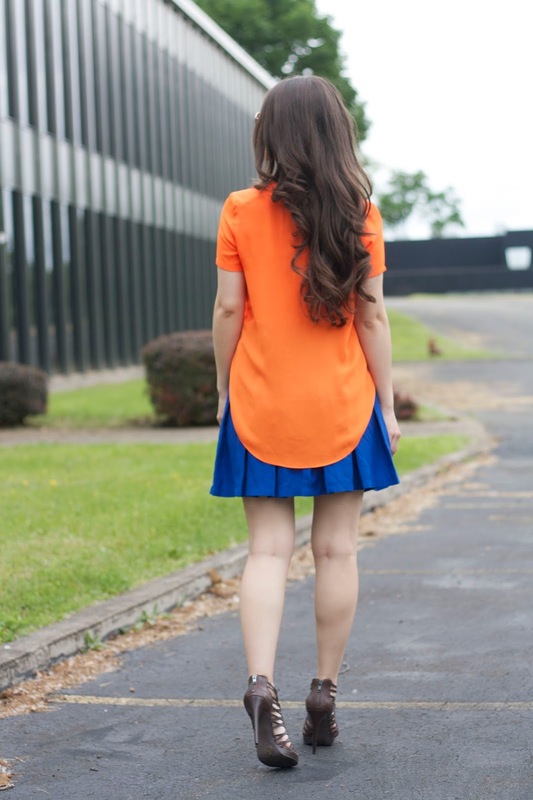 The combination of a neon orange blouse with a cobalt blue skirt and a statement necklace makes this the perfect look to wear out on a fun girls night out, or even to a summer party. 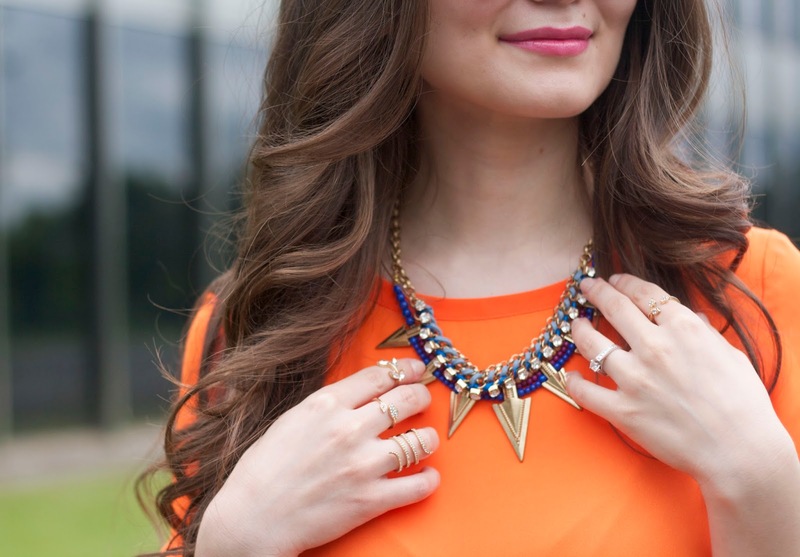 I don't know about you, but these bright colors are really making me look forward to summer. What is funny is that I didn't even notice that I was wearing all Bar III pieces in this outfit until now! Bar III is one of my favorite brands at Macy's, do any of you guys shop at Macy's? Because these pieces are from the old collection, I wasn't able to find them online, but I have linked similar items down below. Check them out! Such a wonderful color combo, beautiful, and your hair is absolutely gorgeous! I haven't shopped at Macy's for a little while, but I do love their INC, Rachel Roy and Bar III collections! Thanks so much for sharing and I hope you have a great holiday weekend!